Google Calendar Released Finally ! 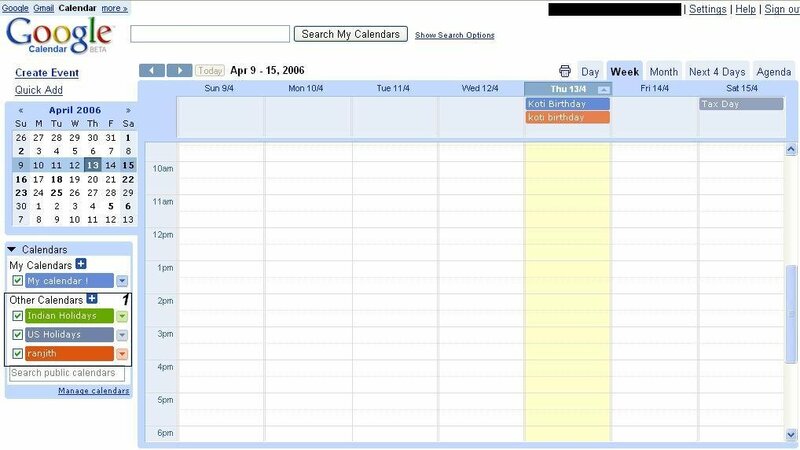 You can create multiple calendars and you can control the visibility of these calendars. Its ajax based and fast. You can get the daily agenda through email. 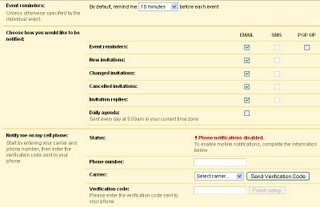 To access calendar with google account !! You can expect more features in future. 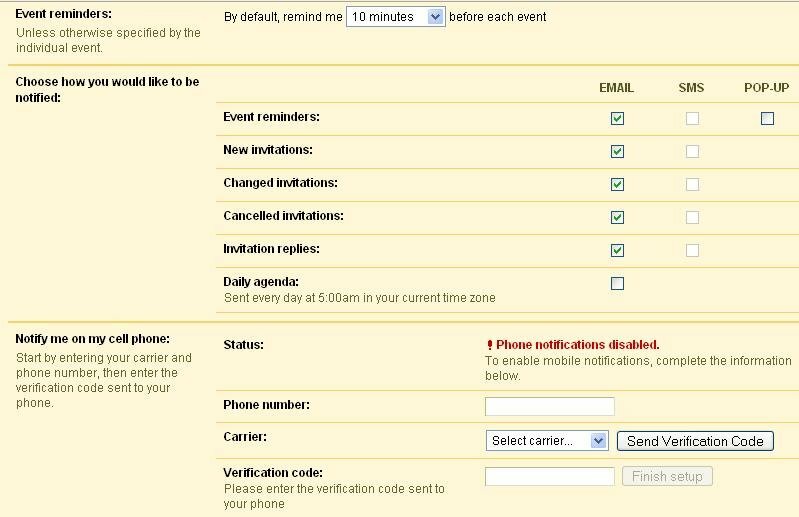 The main advantage of google calendar when compared to yahoo or msn is sharing. As it is relased in beta phase, there are lot of bugs in it. It is not saving the preferences some times and it is not well integrated with gmail. Overall it is a good start from google althgouth it suffers from interace glitches, some minor bugs. No body can notice notice the scroll bar at the right hand top end. Don't get suprised when you see this kind of errors !. These kind of errors are quite common ! !